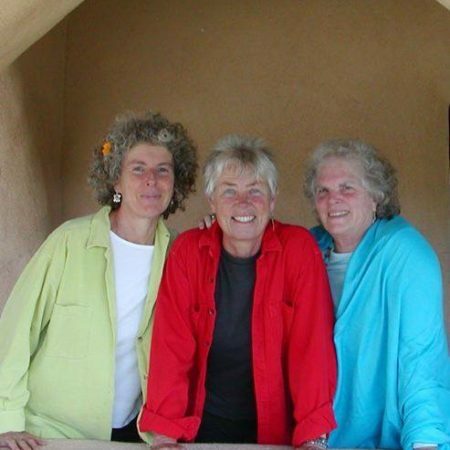 Join us on April 1 for two uplifting events with the NATURAL RHYTHMS TRIO featuring the unique talents of Elise Witt, Becky Reardon, and Terry Garthwaite! Singing together takes us deeply into the experience of being held and lifted. Exploring our wildly versatile voices, we will sing songs of celebration, ceremony, and community; songs celebrating the earth and our own spirit and creativity; songs of healing and passage; and songs of playfulness and joy. Each member of the trio brings her specialty to the mix. Drawing from her love of diverse melodies and rhythms, Elise might introduce a Brazilian samba, a Congolese storysong, an Italian round, or four-part harmonies from Zimbabwe. Becky’s connection to nature and jazz leads us to listen deeply to our own voice and to each other. Deeply rooted in rhythm, Terry shares “simply phrased, foot-tapping songs” interwoven with vocal percussion. All are welcome, regardless of experience! Songs will be broken down into easily learnable parts, so even those who think they “can’t carry a tune in a bucket” will find themselves part of a glorious choir in no time. Combining three unique voices into a harmonious blend, the Natural Rhythms Trio cooks from the minute they hit the stage. Their mad musical adventures might include a polyrhythmic improvisation on the physics of sound, a playful musing on the simple life of an amoeba, an anthem to wild rivers, or a musical ride on the happiness train. The concert will feature traditional songs and original compositions, with a generous helping of audience participation. The UUCSS Sanctuary Singers will be featured in special arrangements of a number of songs throughout the evening.